We had rain today! Now, to some people in many parts of this country and Canada that might be an annoyance. To others it might be appreciated simply because it isn't snow. To us in the parched San Francisco Bay Area, it was a delight! This evening I bundled up, grabbed my umbrella and headed out the door to run errands as I enjoyed our longed-for rain event. Some puddles at street intersections are just too wide to jump across! 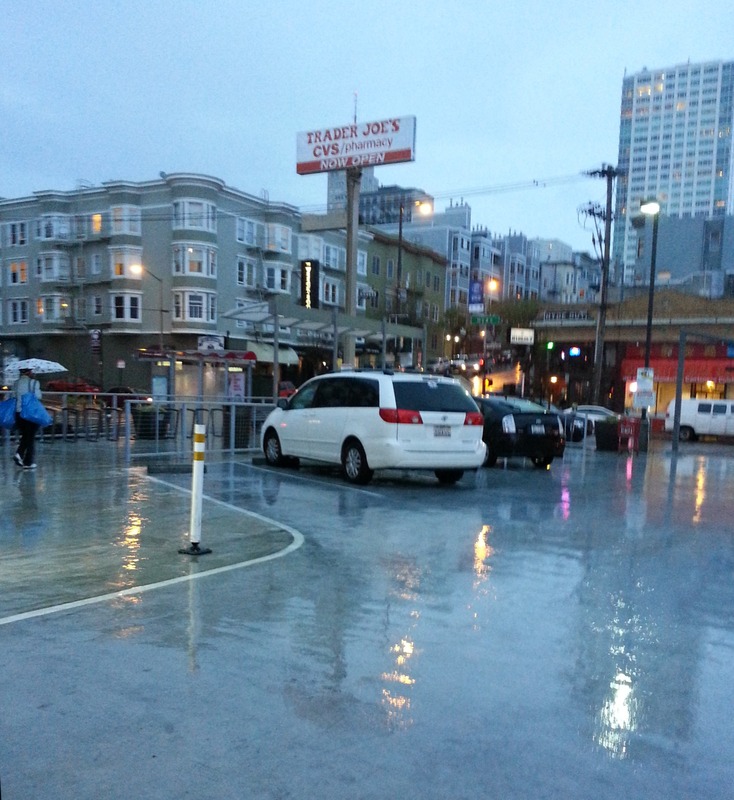 There are lots of red umbrellas in San Francisco - finding mine at Trader Joe's as I left the store was quite fun! The cable cars clang up and down the hills in rainstorms as they do in fog or sun! Where did your breakfast come from? Live in San Francisco or the Peninsula? Have you tried Munchery?